For Christmas, we bought a selection of games to play as a family. 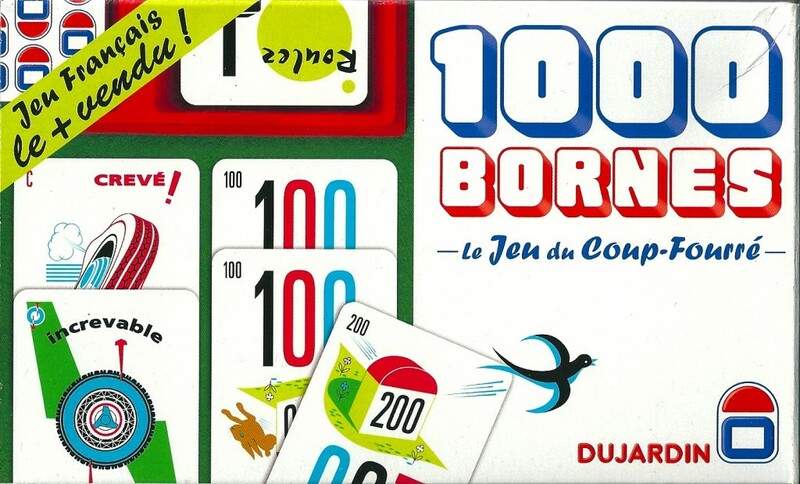 One of them is a traditional French card game called “Le mille Bornes”. It was created in 1947, and I remember playing it when I was a kid. The goal is simple: you must be the first to reach 1000 kms. There are various cards to attack your opponents and try to stop them. It is fun for kids and grown up from Jean-Baptiste’s age onwards, but a bit difficult for Maxime. I remember playing it as a kid, it’s great to play it again.